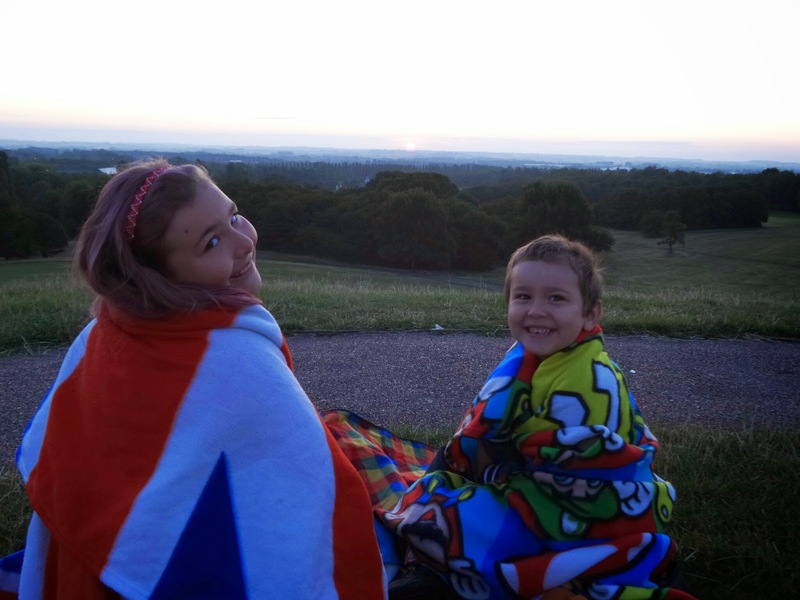 Since the Summer holidays have started, the children seem to have decided that the days starts a couple of hours later than normal and so when after having watched the Sunset I asked if they'd like to watch the Sunrise I was surprised when they said yes. Even though I explained quite thoroughly that they were going to be getting up REALLY early. 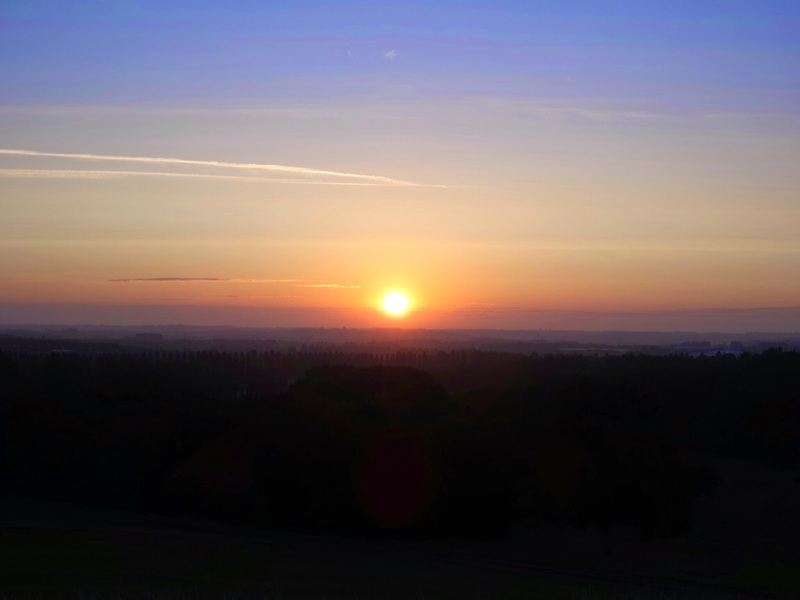 So at 4am I woke up and asked my phone if the sky was cloudy this morning, it answered it wasn't so at 5am I got the children up and dressed and we headed off out to Campbell Park in Milton Keynes as it's the highest clear vantage point that faces East that I could think of. We got to the top just as the sun started to show up above the horizon. We quickly put down our blankets and Top Ender and I started taking photographs and all the while we talked about how beautiful this world is. Big Boy started pretending he was in The Lion King and quoting "Everything the light touches is our kingdom". Which of course started us all giggling. 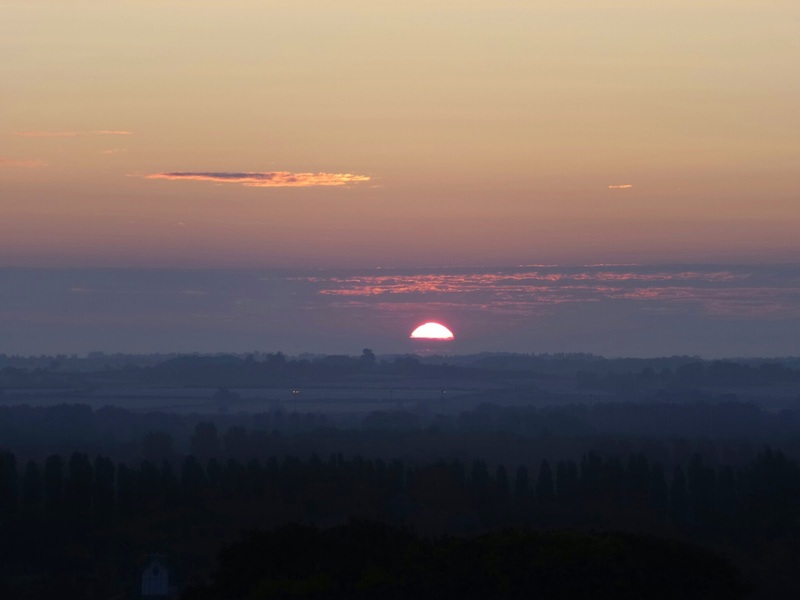 The sunrise was just amazing, I've seen the sunrise a few times in the past but this one was particularly beautiful. The way that the colour spread across the sky, the way that the children just sat and stared as the Sun rose higher and higher. We felt like we were the only people alive, well apart from a few joggers that looked at us as if we were crazy, but then we're used to that and also we weren't the ones running at 6am! 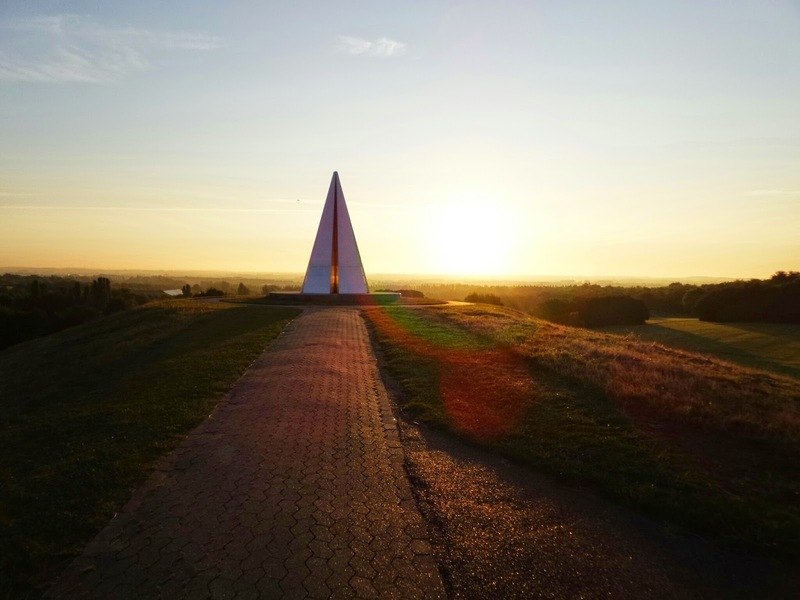 As we left the Light Pyramid at Campbell Park (where we were sat) I couldn't resist taking this last photograph, as it just looked so beautiful. Daddy joked with us later that day that he thought that he was going to go on a Sunrise watch with us and couldn't believe that we'd gone without him again, but as I reminded him getting him up in time to watch a sunrise would be an impossibility so we would always have to go without him!